Many constituents have reached out to express their concerns about proposals to install tolls on Connecticut highways including I-91, I-84 and in some proposed bills, potentially any other “limited access” road such as Rt. 8. 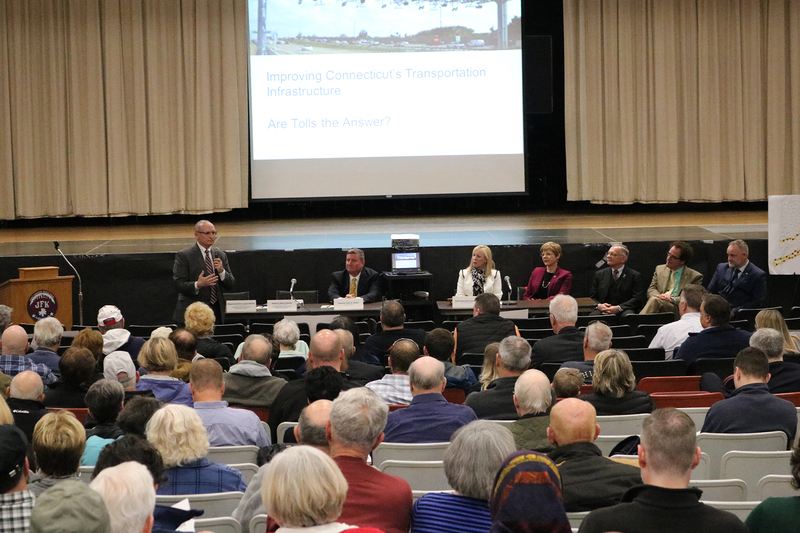 Last week, I attended a regional forum in Enfield featuring Transportation Committee Ranking Members Laura Devlin and Henri Martin to discuss transportation funding, proposed tolls legislation and present an alternative. The Senate and House Republican proposal will finally receive a public hearing in the Finance Committee this Friday. 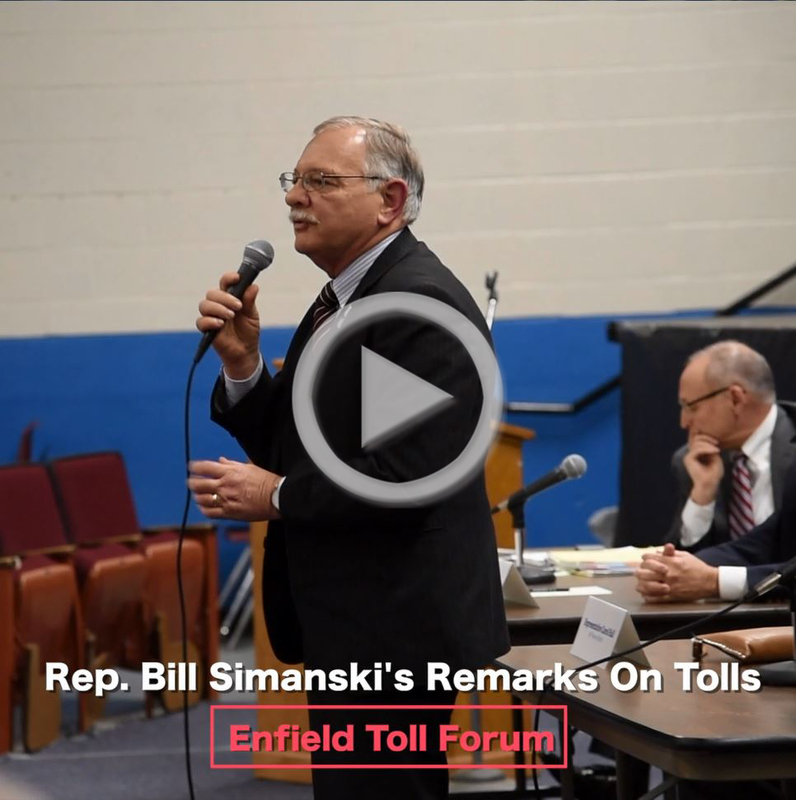 You can testify, and tell the committee that Connecticut CAN’T AFFORD TOLLS. 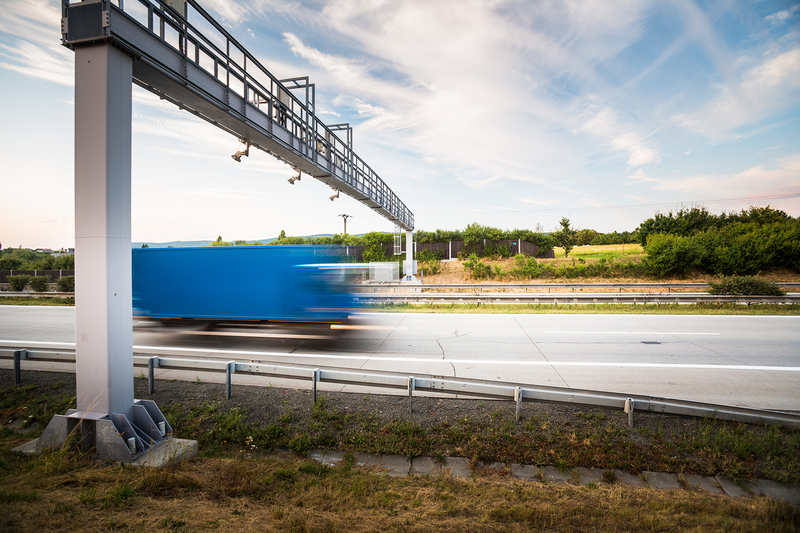 Thank you to everyone who participated in our survey on plans to install tolls on highways across Connecticut. There are alternatives, the House and Senate Republican Caucuses have continued to advocate for the Prioritize Progress Plan to fund our transportation needs. Working families and small businesses can’t afford a costly burden on daily commutes. GRANBY – State Representative Bill Simanski (R-62) and Granby First Selectman B. Scott Kuhnly held open office hours at the Granby Town Hall on January 22nd and February 22nd. 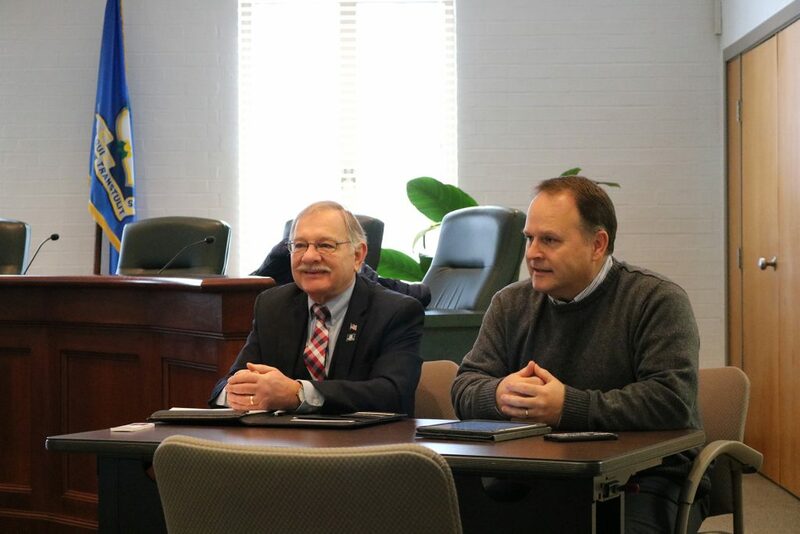 The two officials began hosting the joint office hours as a “one-stop shop” for residents to share their concerns about state and local issues. Many constituents have communicated concerns over legislative proposals to force smaller school districts to regionalize into much larger ones. On Friday, March 1st at 1:00 in Room 2E of the Legislative Office Building, the Education Committee will be holding a public hearing on this topic. Requires any school district with a student population of fewer than two thousand students to join a new or an existing regional school district until that district equals two thousand or more. Requires towns to join state-created regional school districts similar in size to the state’s Probate Districts. Creates a state Commission on Shared School Services for the purpose of developing a statewide plan for the redistricting or consolidation of school services and school districts. This coming Friday, February 22nd I will be joining Granby First Selectman B. Scott Kuhnly for a Coffee Hour at Granby Town Hall (15 North Granby Road, Granby) from 9:00 a.m. – 10:00 a.m. Join us to share your questions, thoughts and concerns about state and local issues.